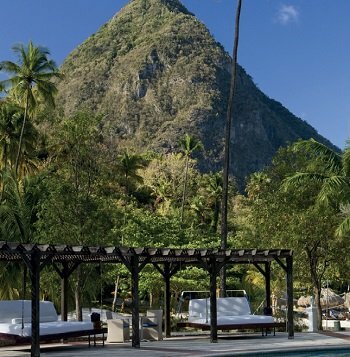 Set within over 100 acres of rainforest, The Jalousie Plantation, Sugar Beach* offers luxury accommodation to guests visiting the Caribbean island of St Lucia. From housekeeping to front desk, Jalousie’s IT team are required to provide IT support to all staff. By installing ReaVNC® software with an Enterprise license to all computers located throughout the complex, the IT team can quickly provide remote assistance to staff without needing to travel around the site. The Jalousie Plantation’s two person IT team provide helpdesk support for all staff on the complex. The IT team wanted to reduce the amount of time they spent travelling around the complex on the resort shuttle bus to resolve computer issues. The team required a solution that would enable them to offer more effective IT support and maintenance so that they could reduce downtime for staff and disruption to guests. RealVNC remote access software has been deployed to all computers throughout the resort to allow the IT team to support staff remotely. 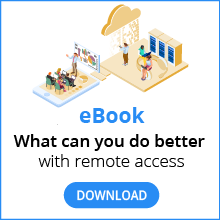 This has led to a drastic reduction in downtime, as IT technicians no longer need to visit individual workstations in order to fix the issues that their colleagues are experiencing. RealVNC software with an Enterprise license was chosen due to its easy-to-use interface and robust security features. In addition, the remote chat facility is particularly useful, as the IT team can communicate directly with staff members and let them know when and how the issue has been resolved. Being able to see how the IT technician is troubleshooting on screen in front of them is enabling resort staff to self-diagnose and fix recurring IT problems themselves. The software has proven to be a vital solution for the resort with staff from all departments noticing how quickly the IT team can now resolve issues. More importantly, its benefits are also extended to the guests, as system downtime no longer affects the resorts facilities, guaranteeing the most enjoyable experience possible at the luxury resort. RealVNC remote access software contributed to optimize the use of IT helpdesk resources, minimize downtime and to reduce costs.